Taking their inspiration from pop culture, the sassy but sage characters of Vanessa Tarot playfully reinterpret traditional female roles. With humor, glamour, and an attitude of adventure, the daring darlings of Vanessa Tarot share all their arcane secrets. This charming deck invites readers to join in the joy ride exploring life through the fanciful imagery of tarot. Presented in a keepsake tin, Vanessa Tarot includes 78 cards with 30-page instruction booklet. "Vanessa Tarot has taken its inspiration from several areas of contemporary pop culture including female role models from the small and large screens of television and cinema, life-like fashion dolls, and heroines from comic books. In the same way that dolls encourage imaginative role-playing, Vanessa Tarot provides scenarios for examining our fantasies, fears, decisions, desires, and choices. 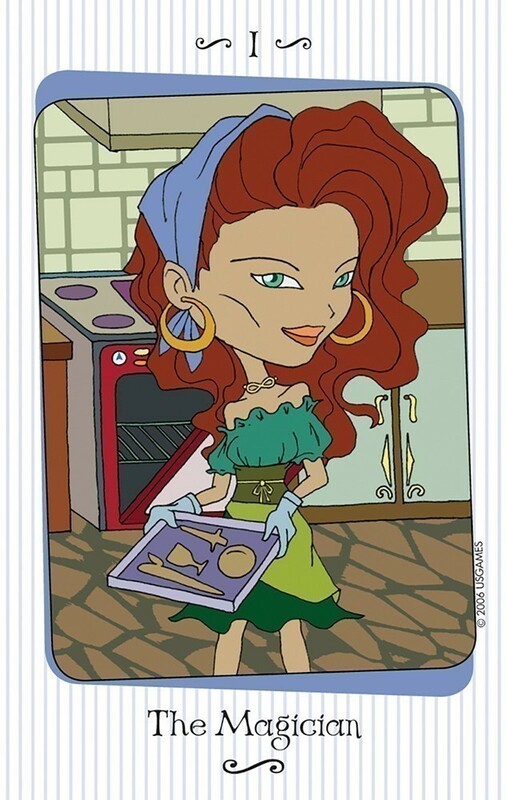 The sassy but sage characters of Vanessa Tarot playfully reinterpret female roles, occupations, and social stereotypes from the housewife to the witch, and the princess to the scientist." The Vanessa Tarot does for illustrated pip Waite-Colman-Smith based decks, what Major Tom's Tarot de Marseille did for the Marseille version Tarots, and dragged it (the Tarot) into the 21st Century. 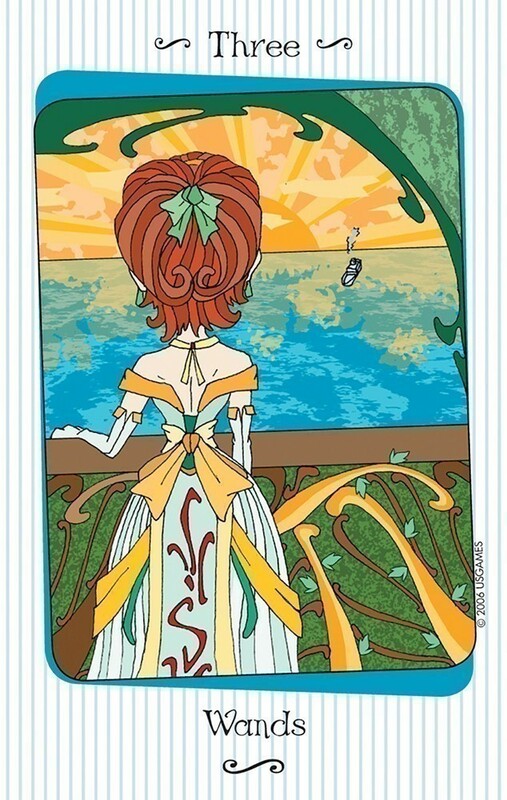 The Vanessa Tarot will perhaps be the most overlooked Tarot of 2007. 'Serious' Tarot folks will eschew it, many will never get past the Magician -- and will poo-poo it as a silly novelty. But the Vanessa deserves a closer look. It's nothing short of brilliant! Let me start with the LWB -- it deserves framing. This should me the new standard for LWB's. It is well written, concise, and is arraigned by numerical value as opposed to suits. And what is said about each card -- makes sense. Some folks enjoy saying 'Tarot is a language', perhaps because such a statement eludes cogent response, However the Vanessa Tarot IS a language. Gone is the weighty esoteric symbology, leaving behind clean image concepts -- that translate smoothly into nouns, verbs, adjectives, adverbs and articles. Many cards easily fill encompass several of those labels. Yes, it's a feminine deck albeit not feminist. Marketing may well relegate it to the early teen female market segment of the populations, and that’s a shame. The deck is also multicultural. Some examples: The 10 of Wands eschews the burdening issues and displays an attitude of study -- or 'workload'. The Knight of Wands wears a parachute and stands in the doorway of an aircraft in flight. In the Four of Cups, she sits in front of the Tarot Café, while a hand enters the picture from the left offering a cup. It's tres mondo coolaroonie! The cards measure 9.5cm x 6cm, perfect for your hands, and get this ... they come in a metal case. The Vanessa Tarot is a glamorous and feminine interpretation of tarot into completely modern scenes and symbols. Created by talented Filipino illustrator and multimedia, Lynyrd Narciso, creator of the Sailor Moon Tarot and Tarot of the Lepidopteran People, it is his first deck to be picked up by a major publisher -- U.S. Games Systems. The deck has been inspired by the heroines of pop culture (Jackie O and Sophia Loren are two recognisable women) and is wholly female, glam, young and modern in all its aspects. The cards were originally inspired by dolls, and in places the women retain a slightly big-eyed, big-headed anime look, but the colours are anything but lady-like, instead using rich, deep colours. They're also images of put-together, strong, capable women. They are judges in Justice, beauty queens in the Universe card, warriors in the Seven of Wands, and fashion designers in the Three of Coins. They ride motorbikes in the Knight of Swords, drive their own sports cards in the Chariot, and bake in the Kitchen in the Magician. The women of the Vanessa Tarot almost entirely inhabit modern scenes and life in a way few decks have managed. It's not a tarot with a few contemporary scenes mixed in with the usual medieval Christian or occult symbolism, but a tarot that has been translated completely into modern lifestyles and references. Its illustrations include a Knight of Wands, poised to parachute out of a plane; the Knight of Swords riding a motorbike; the Ten of Wands, where a student works at a desk piled high with books, lit only by the glow of a desk lamp. The cards have the Rider-Waite tradition at their foundation, but often move the scenes towards their more literal interpretations as well as more modern ones. The Queen of Swords in the deck is a veiled woman at a funeral; she is literally the widow or aloof woman. 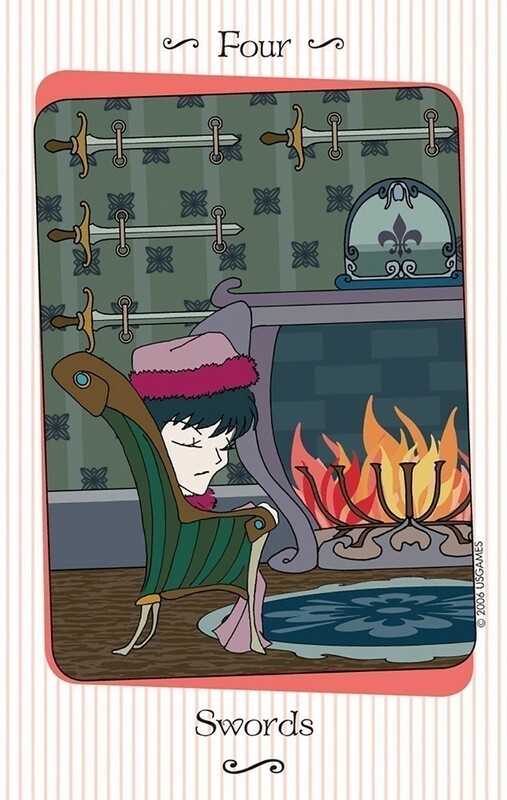 The Seven of Swords removes the ambiguity and shows a woman in the midst of a burglary, getting away with the safe. The whole Vanessa Tarot set is a beautifully designed package of 78 small, matte, and easily-shuffled cards, 2 title cards, and a similarly small 32-page booklet, carried in a very durable purple tin box (not cardboard!) with a separate lid. Perfect for keeping in handbags, backpacks or purses. Inside, the cards are about the same size as playing cards and fit easily in small hands. They are easily shuffled as they have a much more matte cardstock than is often usual for decks from US Games, and lack that tendency to slide off the table like a waterfall. 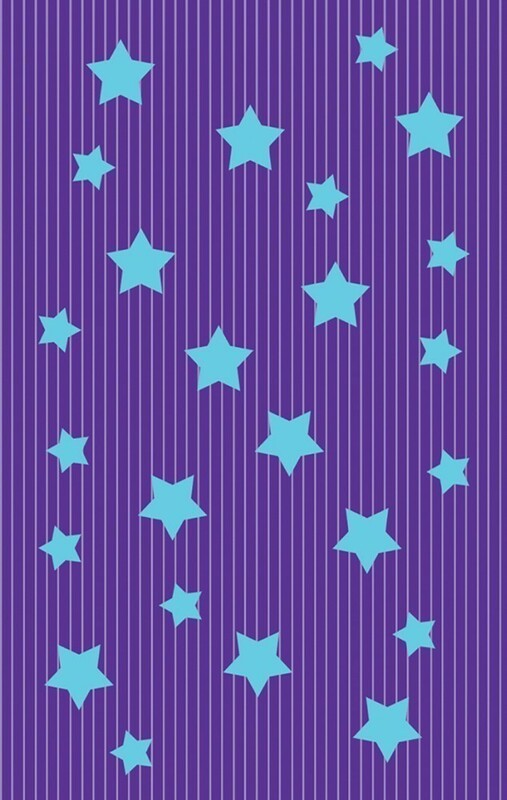 The backs of the cards have a simple and reversible design of a purple background with blue stars and thin blue vertical stripes. 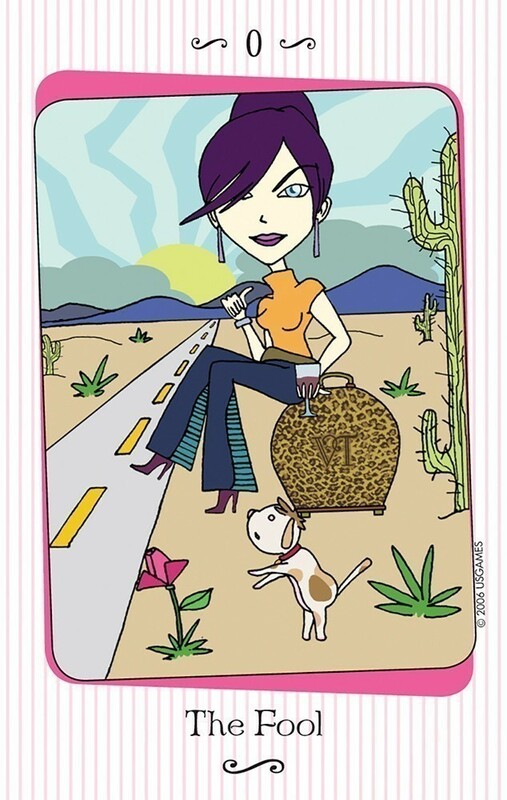 I'm a big fan of the Vanessa Tarot and its fun, feminine yet strong approach to tarot, without being flowery or fluffy. Lynyrd has translated conventional tarot scenes into more relevant scenes of contemporary life, making a deck that is easy for beginners to use and relate to without having to deeply delve into the study of tarot symbolism. When the Vanessa Tarot arrived in the mail, the first thing I noticed was that I really liked its tin box. What a good idea it is to package a Tarot deck in a box that can actually be used to carry your cards in your purse! And that is when I started to understand Vanessa Tarot's real deal. Yes, this is exactly the deck to carry in your purse. And, if you are like the characters of this Tarot, your purse may be a Coach, a Louis Vuitton, or a khaki backpack or leather briefcase. I am in no way a designer girl. In fact, what I am is a crusty old Gloria Steinem-type feminist from the Seventies. But, as I looked through Vanessa Tarot that first time, I had to admit that this is really a special deck. Vanessa Tarot is smaller than most, measuring only about 2" by 3," according to my thumb. The card backs are reversible, and done in a nice purple pinstripe with lavender stars. The cardstock has a matte finish, and is of the good quality that we have come to expect from U.S. Games. Overall, it is a nice deck to look at and to hold in your hands. For all of its great quality and special packaging, Vanessa Tarot retails at only $15. That, girls, will leave you some money left over to spend at the mall! 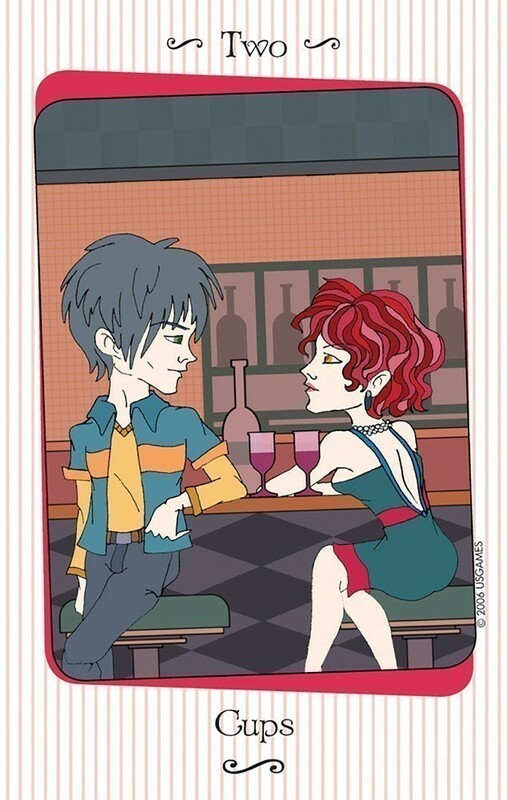 Vanessa Tarot comes with a standard-sized LWB (Little White Book) that gives quick descriptions of the Major Arcana card images, and upright and reversed meanings for all the cards. The Minor Arcana is sorted by numbers rather than suits, and there is a paragraph about each number preceding the interpretations for the four cards of each number set. 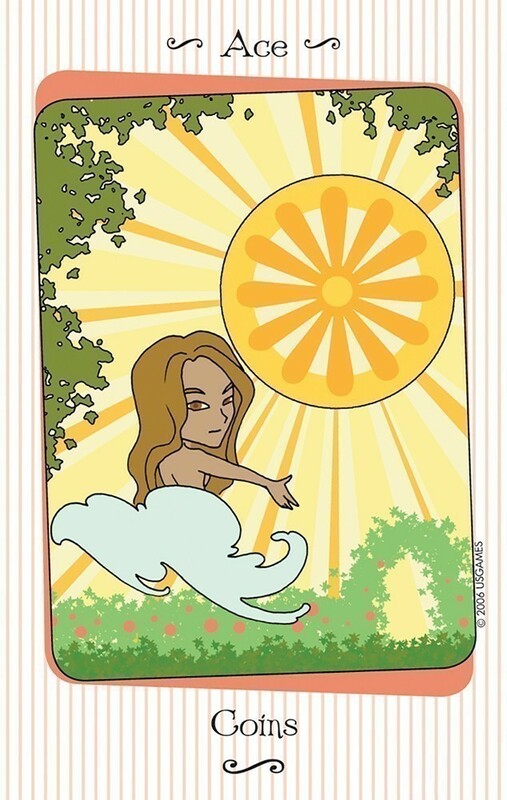 Each Vanessa Tarot card is illustrated with cartoon-like drawings of women and girls. There are some male figures in the deck, but they are supporting characters. Vanessa Tarot pays tribute to the girls and women of pop culture from today and yesteryear. Television and movie stars make an appearance, as do many "types" of modern women. There are businesswomen, glamour girls and daredevils. They are all either pretty or cute, and all skinny. They are dressed in styles from many periods of fashion. The Minor Arcana cards are as detailed as the Majors, which is a feature I appreciate. The deck truly won my heart when I saw that my favorite TV character from childhood, Samantha Stevens (Bewitched, played by Elizabeth Montgomery) appears in her classic pose, sitting on her broomstick, as the Eight of Wands. I passed the deck around to many of my students. Overall, the reaction was positive. Many felt that this would be a particularly good "first deck" for our daughters. Even some of the more mature students liked it, especially those with an eye for glamour and fashion. One older student, whose favorite expression is "It's all about the outfit!" was particularly taken with it. Another great thing about Vanessa Tarot is that none of the images are particularly dark or scary. This would be a great deck for some of the professional bookings that I often get, in nightclubs, at college parties and all-night high school graduation parties. And what about my crusty feminist self? Well, bear in mind that the second deck I ever owned was the Motherpeace, and I have a particular penchant for Goddess Tarot decks, such as the beautiful one by Kris Waldherr. But Vanessa Tarot, with all of its cuteness and glamour and designer-type fashion, is the only one I have seen that had the ovaries to make all four Kings female! Yes, all of the main characters are female. And they all seem pretty happy doing what they're doing, whether it’s being dressed to the nines, keeping house or jumping out or an airplane. And if that's not female empowerment, I don't know what is!